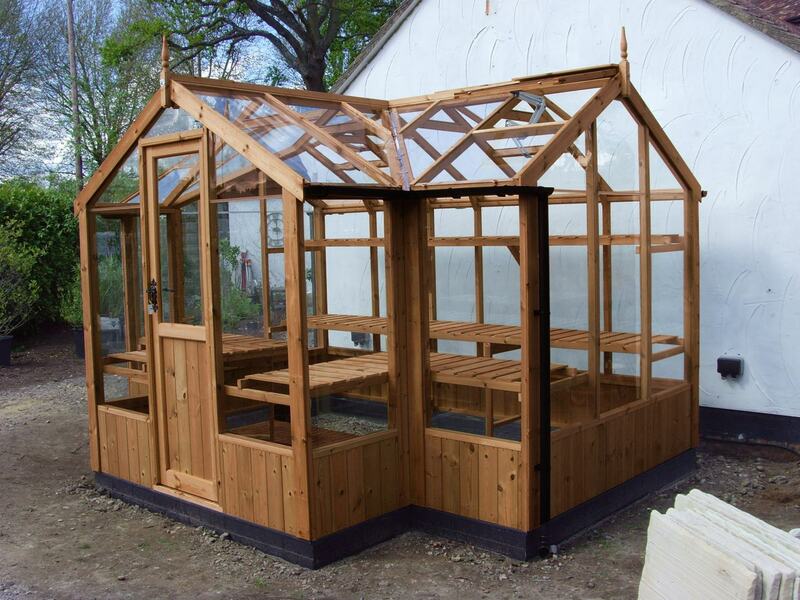 The Swallow Cygnet Greenhouse has an attractive T-Shaped design that is not only roomy and practical, it will be a real feature in your garden. Swallow Cygnet Greenhouses are made from Scandinavian ThermoWood®. This new high tech timber is specially heat treated up to 215 °C to remove excess moisture and resin, preventing warping and protecting from rot. There is a very Victorian look to this greenhouse with it’s apex roofed porch jutting out from the main greenhouse. The staging that comes as part of this greenhouse actually follows round into the porch area leaving a great deal of growing space within the actual greenhouse. Standard features include toughened safety glass, automatic roof vents, full guttering system and an inward opening door with stainless steel handle and mortise locks for security. Installation is included so all you need to do is order from us and within 4 weeks your new Swallow Cygnet Greenhouse will be standing in your garden ready to go!